“The idea was to have an important impact on our world, and how our cities were designed,” John Zimmer, co-founder and president of Lyft, told NPR during an interview examining the beginnings of the company. Initially a carpool service focused on the university market that went by the name of Zimride, Lyft emerged, like many such companies, in a cloud of optimism. Zimmer also spoke of a college class at Cornell about business and environmental impact that made an oversized impression. It’s important to keep this in mind when evaluating Lyft’s big move into the bike-sharing market. 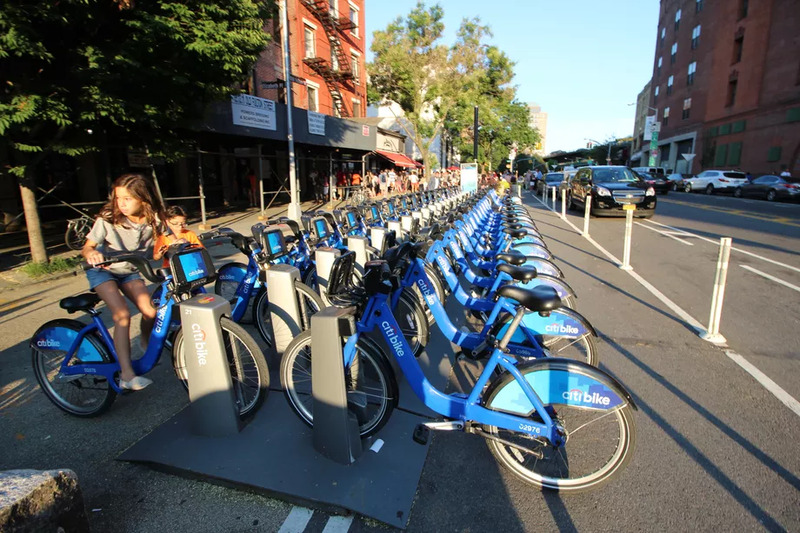 Yesterday, the ridehailing giant purchased Motivate, which operates the nation’s largest bike-sharing fleets, including Citi Bike in New York City and Divvy in Chicago, for a rumored $250 million. While Lyft positions itself as the friendlier, more community-minded ride-hailing company—easy to do with Uber’s recent string of mistakes—the reality, especially for the drivers, is that both companies are fairly similar. But this week’s decision to branch out to bike share in a big way offers Lyft the opportunity to become a different type of transportation company, maybe even one that could start to realize Zimmer’s early ambitions. It’s about market share, mindshare, and becoming the first app to offer “mobility as a service.” Lyft is betting that by bundling options, and perhaps creating a big subscription model, it can be a one-tap transport solution. As Wired notes, perhaps more importantly, especially with the rise of electric and dockless mobility options, the Motivate acquisition provides Lyft with curbside real estate. With these docks, Lyft not only gets ad space, but they also get future charging stations and pick-up and drop-off points. As Lyft CEO John Zimmer said in a statement announcing the sale, expanding multimodal operations, including dockless and pedal-assist electric bikes, is now a key strategic goal. Gaining control of the roughly 31,000 Motivate bikes in operation across the nation is just the first step. The Motivate purchase also supports other, larger strategic goals. Lyft announced in late April that it’ll be buying carbon offsets for all of its rides, and has pledged that by 2020, 50 percent of all its rides will be shared (today, that figure is at 35 percent). By adding a network of physical locations that could function as stations and stops, as well as emission-free transit options, the ride-hailing company has just added more tools to its toolbox. Considering that 35 percent of U.S. vehicle trips last year were two miles or less, according to the latest household travel survey conducted by the U.S. Department of Transportation, Lyft’s decision to add new travel options that can bypass increasingly congested streets seems like a smart move. And don’t forget the value of ridership and member data for hundreds of thousands of bike-share users. 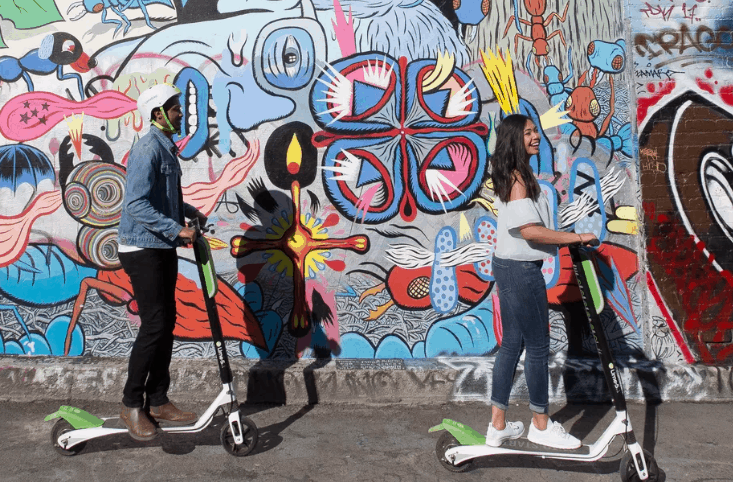 While there’s undeniable excitement for transit startups right now—Alphabet just invested millions in bike-and-scooter startup Lime, and Uber paid a reported $200 million for Jump, a dockless electric bike company that operates in San Francisco and elsewhere—the business models for these mobility companies isn’t exactly clear. Bike share is searching for revenue, and numerous regulatory issues remain muddled or unsolved. But, to be fair, neither is the business model for Uber or Lyft. What is clear is that, right as new mobility options are growing and in many cases thriving, Lyft is also on a hot streak. The company grew its U.S. market share from 22 percent in January 2017 to 35 percent now, and late last month, raised $600 million in a new finance round that valued the company at $15 billion, more than double its value 14 months ago. Purchasing Motivate expands Lyft’s impact and urban footprint dramatically. It also changes Lyft’s relationship with big cities. Will having control of bike-share operations—now a vital part of big-city transit infrastructure that both cuts emissions and keeps riders out of cars and increasingly packed public transit—give Lyft a new bargaining chip? Lyft’s move can help it become a more sustainable, multimodal and less car-centric transportation service, one that could be a better partner with the cities in which it operates. Time will tell if Lyft can use these new assets to build a truly different, and better, ride-hailing company.